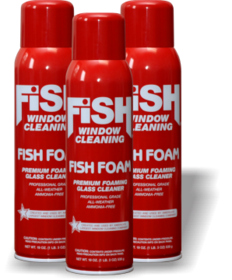 We have our 3 winners for the 3-can cases of Fish Foam! OK - so here we go! My least favorite cleaning chore is the bathroom. My least favorite chore is putting away laundry! Emily & Steph, look for an email from me...Cheryl S - I don't have your email! Yikes! Please contact me before Friday so that we can get your prize to you...thank you! Congratulations to the winners! Do you want to try Fish Foam out on my grungy bathroom? Pleeeese?